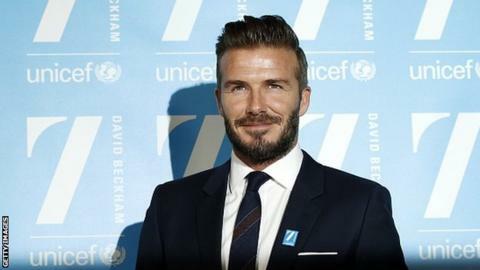 David Beckham and his investment group have confirmed plans to build a stadium next to the Miami Marlins baseball park. Beckham suffered a setback when proposals to build a new 25,000-capacity stadium were rejected in 2014. One of Beckham's partners, Sprint chief executive Marcelo Claure, said the group had "presented our intentions" to Miami mayor Tomas Regalado. Ex-England captain Beckham played for MLS side LA Galaxy from 2007 to 2012. In February 2014 he announced he was starting a new Miami-based franchise to play in the MLS. But plans to build a new stadium on a city waterfront next to a basketball arena were rejected. In February, Beckham remained confident of his project succeeding. He said: "Delays are frustrating but we will get it right and it will happen."